this is Nature at its absolute finest! Picture this: you’re floating down the Mossman River on a river sled (aka a lilo), surrounded by rainforest, casting your eyes around the crystal clear waters for platypus, turtles and fish. Gliding down small rapids, snorkelling and exploring underwater... nature at its best! 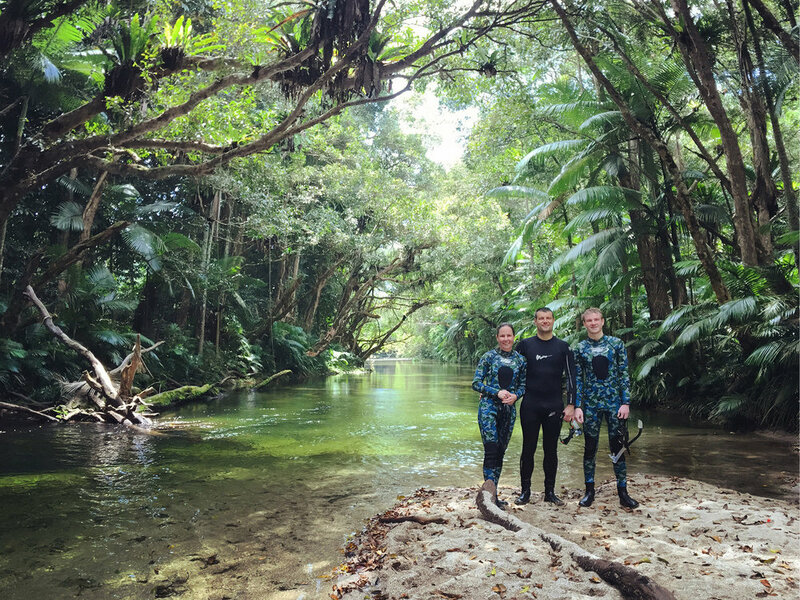 The River Drift Snorkelling tour is one of our absolute faves when visiting Port Douglas. It’s a family friendly tour, tried and tested by PDU (the oldies probably like it more than the kids to be honest!). The tour is only a short distance from Port Douglas (15 minutes) and runs for around 3.5 hours which includes pick-up and drop off to your accommodation. Each tour has a maximum of 10 people, which makes it very intimate - for larger groups you might have to pull straws to see who misses out! All fitness levels can embark on the tour as long as you are up for a good time and a complete sensory overload! It’s also a great way to practice some snorkelling if you are planning on embarking on the outer reef. 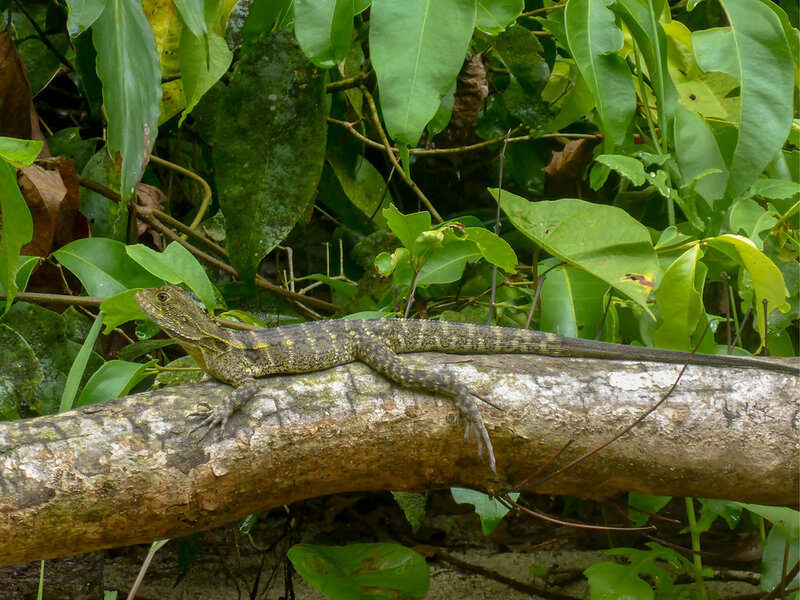 The expert guides can answer any curly question you throw at them - they know everything about the region, the rainforest and all the wildlife you can spot. Not to mention lots of interesting facts to keep you entertained while you’re floating down the river. It’s the perfect way to fill an empty morning or afternoon on your holiday schedule. What are the Top 5 things PDU loves about the Back Country Bliss tour? We love that it’s great for kids and adults of all ages. We love that the water is nice and cool to escape those hot and humid PD days. We love that the tour is only half a day, with the Back Country Bliss team making it easy to get to and from. We love the rapids for a little bit of excitement along the way. Most of all we love drifting down the river on the sleds with not a care in the world, soaking it all up. The tour is the perfect way to get a nature fix and recharge. So next time you’re tossing up between tours make sure you put Back Country Bliss River Drifting on the itinerary. You won’t be disappointed. You can book this bad boy here. Go get your bliss on and say hi to the tour team from PDU! When the river is calm, the tour is suitable for ages 3 years and above. However, in the wet season double check the weather conditions as the rain can bring faster rapids and we recommend only strong swimmers. Back Country Bliss also offer: Daintree tours, Bushwalking tours, Jungle Surfing & Exclusive tours.